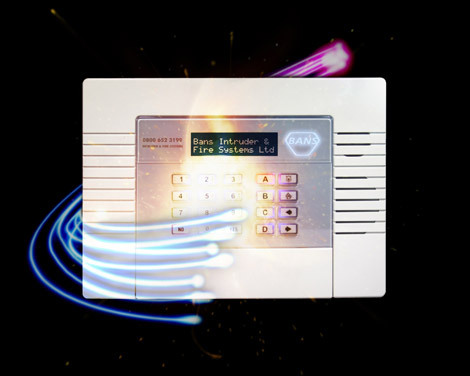 Bans Intruder and Fire Systems Ltd is a well-known company, established for over 10 years, that installs burglar alarms in homes and businesses around Reading. We specialise in the installation, maintenance and repairs of all types of security systems including burglar alarms (both wired and wireless), fire alarms, cctv systems, door entry systems and access control systems. We also carry out electrical work and data cabling for both domestic and commercial premises. You may have seen our bell boxes installed at Reading Football Club (Madejski Stadium). If your looking for either a new security system, a company to maintain your current alarm or if your alarm is in need of reapir then you have come to the company. If you have any questions or if you would like a free no onligation estimate then please feel free to contact us. Reading may have existed as early as Roman times, as either a trading port on the Thames River, or as a crossroads on the Roman road connecting London with Calleva Atrebatum near Silchester. The earliest evidence for Reading as a settlement dates from the 8th century, where the town came to be known as Readingum. Throughout the 20th century, the town grew, annexing Caversham across the River Thames in Oxfordshire in 1911. This expansion can be seen in the number of 1920s built semi-detached properties, and the 1950s expansion that joined Woodley, Earley and Tilehurst into Reading. The Lower Earley development, started in the 1970s, was the largest private housing development in Europe. This extended the urban area of Reading up to the M4 motorway, which acts as the southern boundary to the town. "We are extremely satisfied with the alarm system you have installed for us. The service you have provided to both home and business has always been excellent. Very competitively priced thank you."